Visit a random B2B company website. See that chat box pop up in the bottom right or left corner? It's either a messenger chat window or a live chat window. Seeing as how both are almost identical both visually and functionally, it's hard to tell the difference at first glance. But there is a difference and not just one. Let's start at the very beginning. Messengers are applications designed specifically for personal chatting, with some highly useful functions like video calls, file exchange, and others. Instant messaging started with desktop software, like AIM and ICQ. By 2010, however, many successful (i.e surviving) messengers either transformed into a mobile app or branched off a social network. The true rise of messengers began when Facebook Messenger was released as a separate iOS and Android app. Facebook Messenger, Skype, Telegram, WhatsApp, Viber, and WeChat are the most popular messaging apps these days, with more than 3 billion users around the globe. The growth in popularity of messengers is astounding. In the meantime, the live chat system is an old-timer. Usually, it's a website plugin (a pop-up) that lets the user chat with a customer representative while they're both online at the same time. Live chats are sometimes embedded into mobile apps, for support purposes. When live chats arrived on the scene in the late '90s, they brought the promise of a better means of communication between a customer and a business. Many communication pain points were solved this way—no need to wait for an email or to schedule a call. The market leaders these days include LiveChat, Olark, LivePerson, Zendesk and Intercom. Messengers and live chats serve different purposes—personal and business communication respectively. Yet, nowadays both are used to connect with businesses. They wouldn't be in business if they weren't prepared to take a punch. So what makes them tough? Live chatting made it possible for customers and companies to connect in real time and in a more intimate way. This is the real reason they were (and still are) successful. With a connection of this sort, it's much easier to handle customer interaction and build brand awareness. Customers don't have to craft their questions into an email. Chat offers dialogue as complex as a phone conversation, although at a slower pace. A skilled representative can juggle several chat conversations simultaneously but probably only one phone call. Two if they're a Julius Caesar-kind of a multitasker. True story, by the way, although Caesar preferred messengers over calls—and two-legged messengers at that. 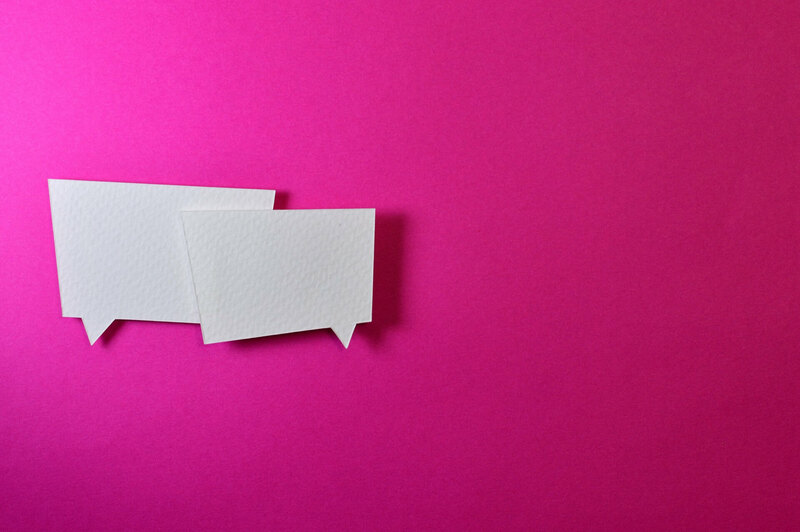 With the arrival of automation, live chats received yet another fighting chance to remain a strong communication channel. Even simple conversational chatbots can make dishing out sales and support advice possible around the clock. The chatbots, given some creativity, can be pushed to accomplish amazing feats of customer interaction, but it takes investment, skill and effort. At some point, live chats were simply everywhere. It's certainly a strong addition to any sales plan, and thousands of companies have used live chat as part of their sales strategy. Even though live chats are otherwise awesome, they do have a number of issues that hinder their widespread use. One of them stands out more than any other. The main limitation for live chat is that it's not designed for ongoing conversations. Unlike messengers, which are standalone apps, live chat is entrenched on your company's website. If a customer wants to chat with you, they would need to head to your website first. Imagine a common scenario: a lead reaches your website, opens up the chat, one of your team members answers immediately (ideally within 30 seconds) and the two of them have a pleasant conversation. Once the lead leaves the website, they're gone. Unless that lead comes back and sends another message, there is no way to reach them through the live chat system. It could be that your lead got tired of waiting for the representative to respond. Or maybe their internet connection is at fault. Perhaps the WWE match they've been waiting for came on TV. Whatever the reason, if they're gone, then so is their chat history. Even if the lead comes back, they'll have to start over with your representative, which might be another person at the time. What a drag. Some live chat platforms (like Intercom) have measures that prevent this from happening, but it only works if you don't clear your browser's cache or use another device. The main purpose of messengers is to connect a person to a person. They are now part of our daily lives, especially if you're a big city dweller, or young or both. Your friends and family, your fitness trainer, your distant relative that likes your every post on Facebook— they're all there. It's convenient, easy and you can continue the conversation whenever you wish—no need to be online at the same time. And the chat history is available from any device! With the explosive growth of social media usage, messengers (being part of it) are gaining numbers just as well. 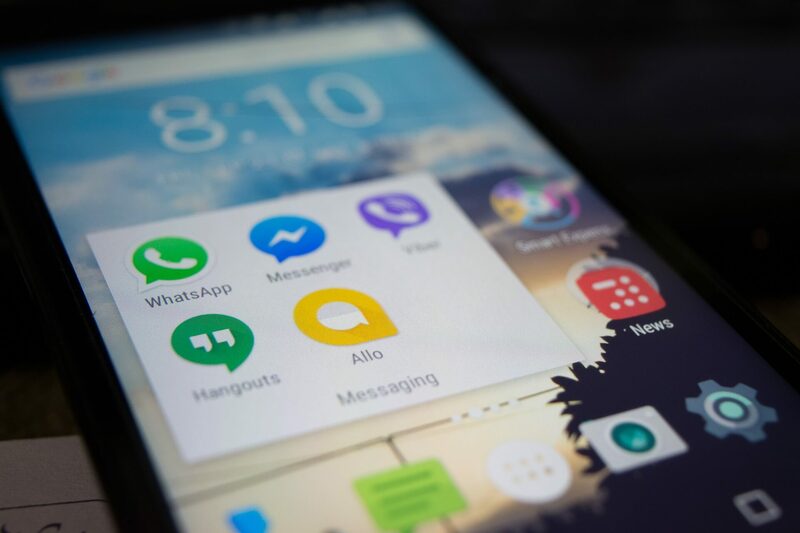 The marketing agency Messengerpeople reports that in 2018, out of the top 10 apps worldwide, 4 are messaging apps. In total, more than 2.5 billion people are chatting every day. Some messengers are growing in functionality that exceeds anything else that was previously planned for this platform. WeChat, a Chinese messenger platform, is a perfect example of this. With WeChat, you can control pretty much most of your daily routine. Chat with family, friends, businesses, your coworkers or anyone. Pay for just about anything, from vending machines to cars. Sort out taxes, use it as proof of identity, run a business, host an event—the list keeps on growing. Automation is huge for messengers just as well. There are many amazing bots out there, both for entertainment and business. The best thing about it all, of course, is a fresh look at communication, which is always instant. Alright, time for a real comparison. Instant communication. Both live chats and messengers are capable of this. The only difference is the way it's done. Live chat requires you to be online along with the customer representative for the conversation to happen. Messengers work the same way email does: send the message and wait for the response. No need to be online at the same time. A clear advantage for messengers. Valuable for sales, support, and marketing. No doubt, both excel at what they do, with the difference being that messengers are at the beginning of being actively used for sales, while live chats have been at it for more than a decade. The same goes for support. As for marketing, messengers have a far better reach, being closely connected to social networks. Asynchronous communication combined with the ability to deliver content straight to the phone screen is invaluable for marketing campaigns. Live chats are a more traditional method of connecting a business for sales and support purposes, but messengers are clearly superior for marketing purposes. Automation. Chatbotting like a boss can be done with just about any platform these days. With chat automation, messengers and live chats can ensure the business is available 24/7, reduce workload by taking care of repetitive tasks and more. Taking into consideration other strengths or weaknesses of both platforms, automation is equally beneficial for both messengers and live chats. Integrations. Every service has its own pool of integrations with any given live chat/messenger platform. Services like Zapier and PieSync can help businesses integrate messengers. Popularity. Messengers are the fad of the day, and almost everyone has one on their smartphone. Established messenger platforms aren't going anywhere and their functionality, API capabilities, and business opportunities continue to expand. Live chats, unfortunately, cannot step outside of their niche. What is a good choice for your business when it comes to providing your customers with a communication channel that is quick and convenient for your customers and your salespeople? The answer depends on what business you're in. Live chats have been out there for a while and most popular live chat systems have numerous sales, support, and marketing solutions. The list of integrations is often long enough to make sure it will match other software you might be using for your business. Messengers, on the other hand, are much better when it comes to delivering a message—t just goes straight to the customer's phone. It is rapidly becoming one of the largest business communication channels. We can see the vision of the future with WeChat, which is already a true Swiss Army knife of digital communication. In the end, all that matters is how well your tools help your business thrive. For some businesses, live chats are more than enough to thrive. With complete flexibility, near absolute reach and widespread introduction of messenger business accounts, the future belongs to the messengers. I'm an adept of sales automation. Let's make your business efficient!